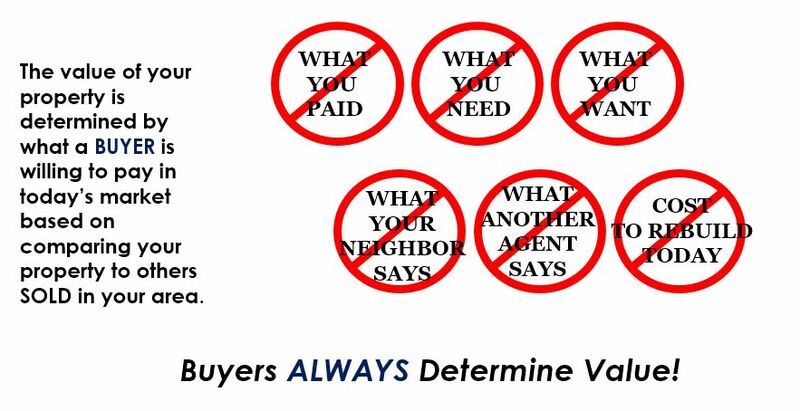 The value of a home is determined by what a ready, willing and able buy will pay for your home in today’s market. It’s the law of supply and demand and it doesn’t change. If you are considering selling your home, one of the first things to do is get a feel for the market right in your area or subdivision. Sure, you can get a value from Zillow but that does not take into account current market conditions and other variables. Let me help you get a true estimate of your home’s value. Where does your home compare in price to your neighbors? So many variables come into play when determining a homes market value, it can be confusing. We are offering our FREE services, providing you with your home’s current market value and suggested selling price! Just fill out and submit the form, and we’ll analyze the comparables, and other local market data to provide you with an up-to-date and accurate estimate of the worth of your home. Please fill out the form. We do not share your information with ANYONE!! It’s between you and I. Tell us a little about you and your property and we'll get in touch within 24 hours.